Have you ever accidently mistyped a word while manually entering letters on your Swype keyboard? If so, then you’re like 99.9% of the rest of us that use it. When you manually spell out a word, it will be added to Swype’s dictionary. This is done so that the word can be “Swyped” in later. But, Swype doesn’t know the difference between words entered purposefully, and typos. To fix this, we need to clear out the dictionary. 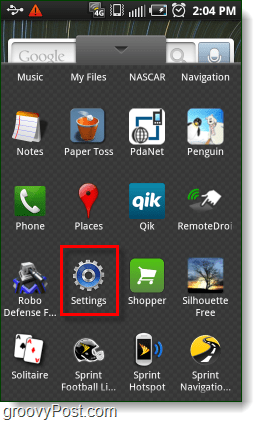 First, we need to go into the Settings application. 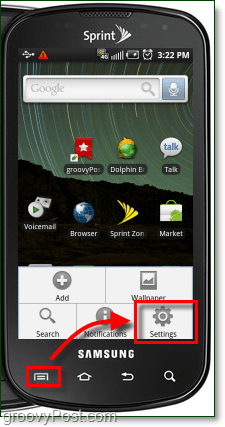 You can launch this either the App Drawer, or by Pressing the menu button on the outside of your phone. 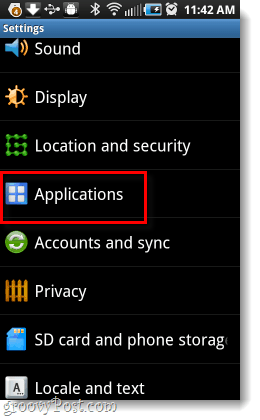 Once in settings, Tap Applications. Now you’ll see a list of applications. At the top of the list, Tap All. 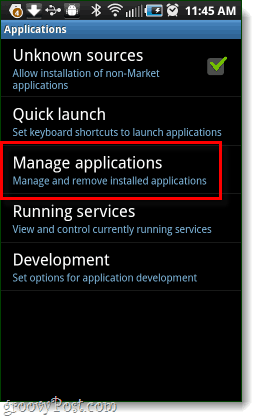 Now Scroll Down the application list and Tap Swype. 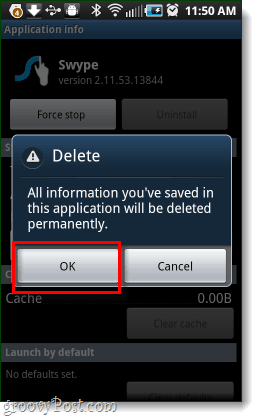 Tap the Clear data button and then Tap OK on the Delete confirmation window that pops up. 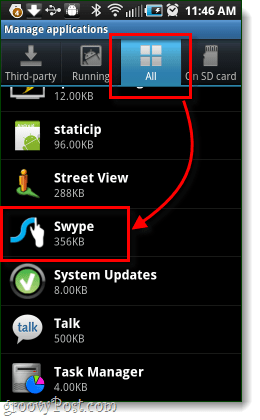 Now your Swype dictionary should be reset back to what it was when you installed it. All of the custom words you entered, whether on purpose or by mistake, should now be cleared. Clears ALL customizations and settings as well as the custom dictionary. This is a design flaw in Swype. A better design would be to try and detect misspelled words and avoid using them. Most people are crap at design to be fair. 1) Check the internet for whether something is spelled correctly, as an online dictionary or other relevant source will be more extensive than the Swype dictionary. 2) Order the words by how many times they are used, so a mistyped word that is rarely used is down the bottom of the list. 3) Detect when someone enters a word manually by mistake but then goes back and deletes that word and replaces it with the correctly spelled version. This is a subtle thing, because it’s not just checking for a word being deleted but it’s checking for a word being replaced by letters that are near to the misspelled word, e.g. fish or fush (U and I are close on the keyboard, so if ‘fush’ is deleted and replaced with fish then this is a good prediction that this is a misspelling, we could therefore reduce the ‘weighting’ of the word ‘fush’). 4) Note that when the ‘weighting’ of a word gets below a certain threshold then delete it. This effectively means deleting words that are very rarely used or that are probably misspelled. I have very quickly come up with these ideas and they are better than the developers of Swype can come up with. It’s worrying if you ask me. Most designers are crap.